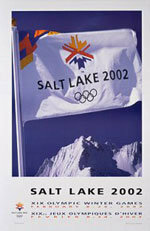 The Olympics in Salt Lake City were a spectacular spectator success, with plenty of outstanding athletic performances. All fears of a terrorist attack proved to be unfounded. For Norwegian winter sports, the Olympics turned out to be an historic gold rush, resulting in a total of 11 gold medals for Norwegian athletes. Winning four gold medals in four events, the Norwegian biathlete Ole Einar Bjørndalen became one of the Olympics’ major stars. Yet this sporting event also had its doping scandals. Johan Mühlegg received most attention in this regard, who despite being exposed as having used doping substances during the Olympics, was allowed to leave the Games with two gold medals.